The Leave Alliance (TLA) evolved out of the Referendum Planning Group (RPG) which was set up in the last few months of 2014 and the early part of 2015. A core of five groups emerged who all agreed that it was essential to support a clear exit plan in order to win the debate to ‘Leave’. The five groups that went on to develop the plan, under the RPG umbrella, were The Campaign for an Independent Britain, The Bruges Group, The EU Referendum Blog, the think tank Futurus and The Harrogate Agenda. 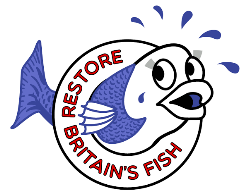 By the end of 2015, the five had become seven with the addition of Restore Britian’s Fish and our own Blogger’s Army which is made up of a handful of committed bloggers and Twitter users who patrol the internet to challenge both the Fear Uncertainty and Doubt (FUD) pushed out by the ‘Remain’ side and also those who want to ‘Leave’ but who support unrealistic, unworkable and vote losing options. Those of us in TLA believe the only safe and reliable way to leave the EU, after 40 years of integration, is via the six-stage exit plan called Flexcit. TLA is not competing with any other ‘Leave’ group and will support and work with any of them but is not prepared to compromise on our core belief that without a detailed and seamless exit plan, we will never be able to convince a majority of the electorate to vote against the Establishment’s offer of remaining in the safety and comfort of the EU, which we believe to be manifestly false. Those of us in the TLA believe the complete opposite and have a vision and plan of how we can prosper after leaving the undemocratic and bureaucratic EU. Apart from advocating Flexcit, we believe that it is impossible to reform the EU while one is still a member and for this reason we support invoking Article 50 of the Lisbon Treaty, which sets out a two year period to negotiate our withdrawal. However, having said that, we are also quite clear that initially we will have to stay in the Single Market for two main reasons. 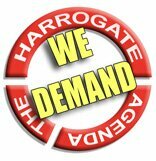 First, to counter the FUD which the ‘Establishment’ will deploy to try and frighten the electorate into voting to ‘Remain’ and second, to ensure our trade is not interrupted while we negotiate for a new free trade deal for the 59 countries of Europe as opposed to the 28 in the moribund EU. Voters need to be made aware that the EU is now at best irrelevant and at worse a deterrent to trade as global bodies increasingly produce and regulate the rules and regulations governing world trade. TLA is a sum of its various parts and will welcome any other groups or individuals who are prepared to work within our overall strategy. It is also currently our plan to seek lead designation, for the Leave campaign, from the Electoral Commission. However, if we are unsuccessful, we intend to cooperate with the successful designated group as long as they support our strategy and plan or happen to have an alternative that is better. To win the forthcoming referendum we need to convince the undecided voter that there is a workable plan to leave the EU and that it is safe to do so. We believe we have in Flexcit such a plan and without it, we will never win the argument to ‘Leave’. UPDATE: the deadline for applications for designation was 31 March 2016. Given the developments in the period prior to this date, TLA members decided not to proceed with an application for designation, leaving individual members to register individually, and free to campaign in their own names, as was always intended.